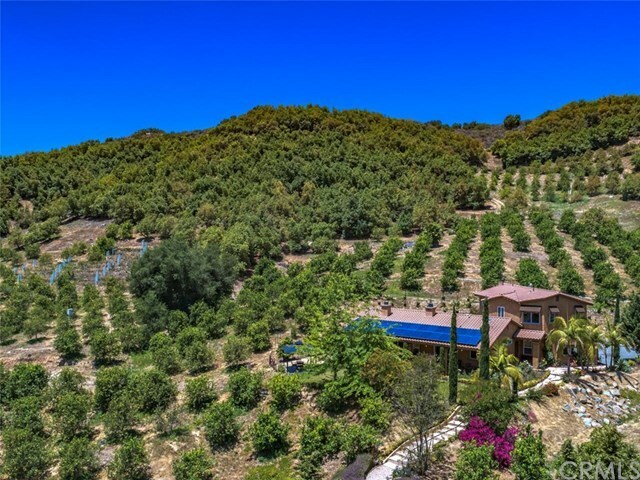 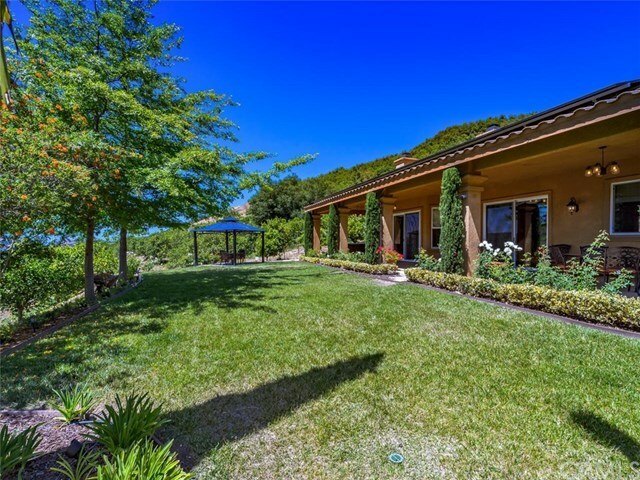 Beautiful Italian Villa nestled on 9+ acres with Certified producing Organic Avocado & Eureka Lemon Grove. 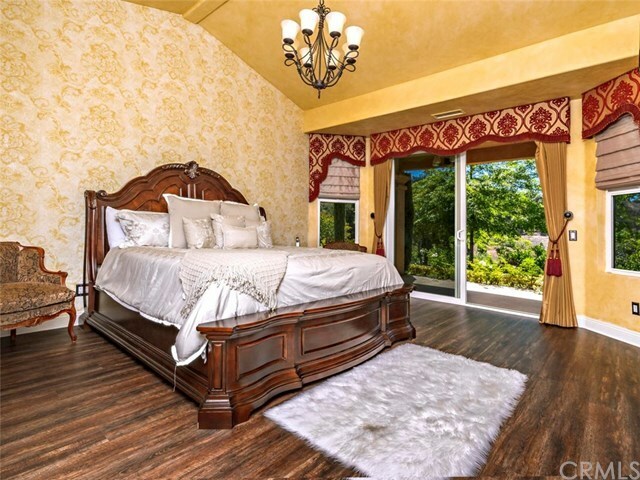 Exceptional architecture, finest craftsmanship & exquisite materials blend harmoniously to create an estate that is timeless & can be enjoyed for years to come. The spacious design incorporates a timeless, traditional floor plan w/ modern living influences. 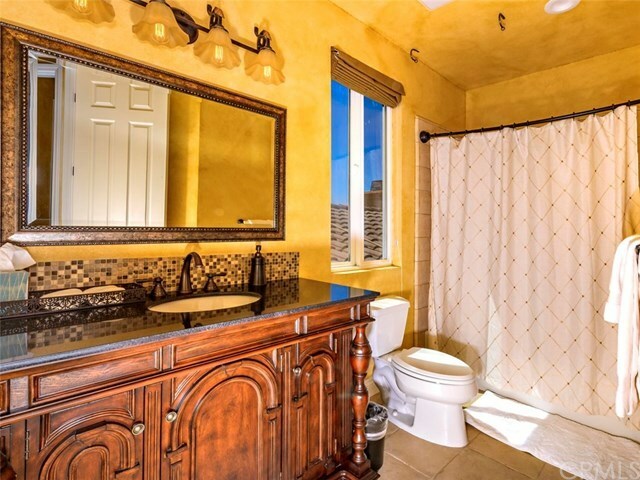 4 bedroom w/ 4 bath. 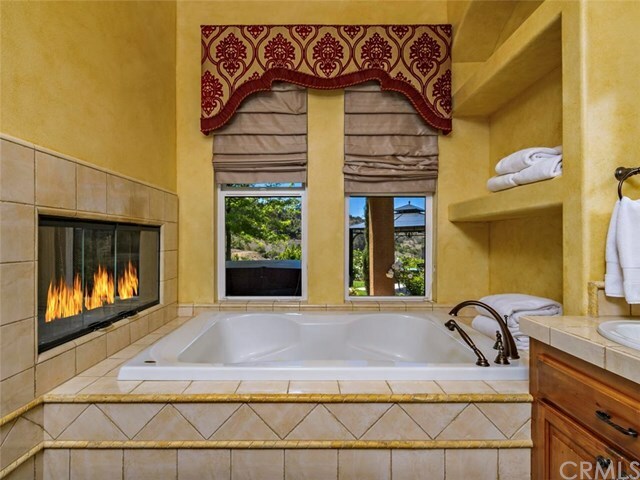 Downstairs is the luxurious master suite w/sumptuous bath w/Jacuzzi tub/separate shower & sinks plus walk in closet & fireplace. 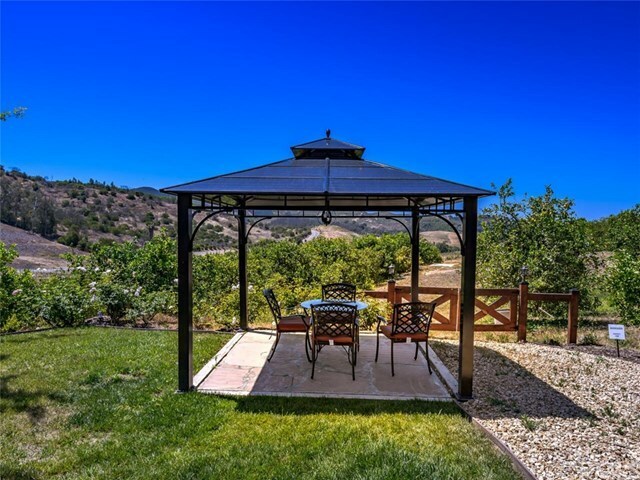 Sliding doors lead to the romantic covered veranda. 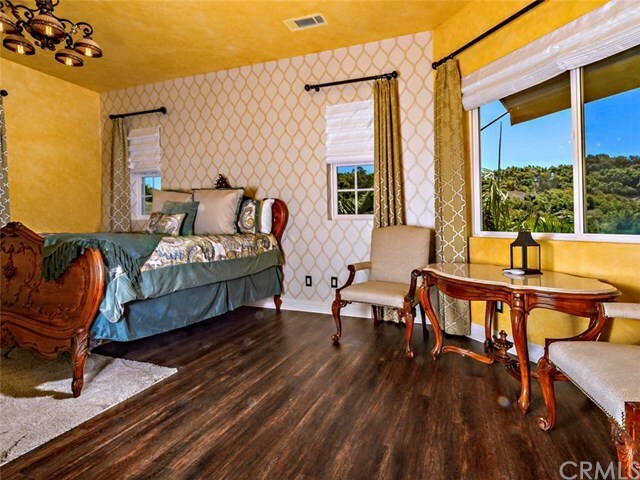 Another ensuite bedroom is downstairs too. 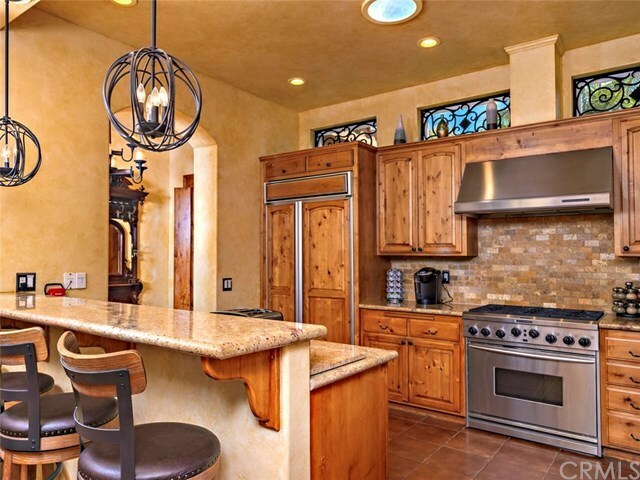 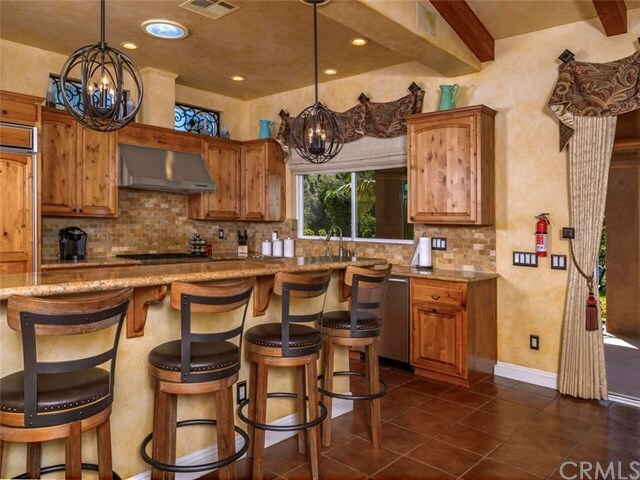 Gourmet kitchen w/ top of the line appliances, granite counters & bar area for dining. 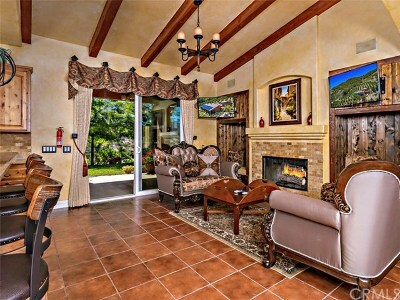 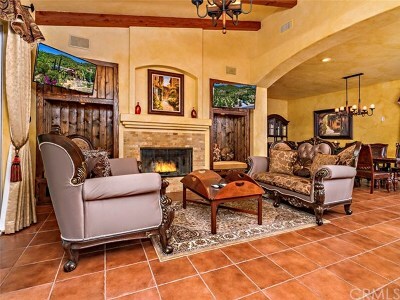 Wonderful cozy living room w/ custom seating & beautiful cabinetry w/ fireplace. 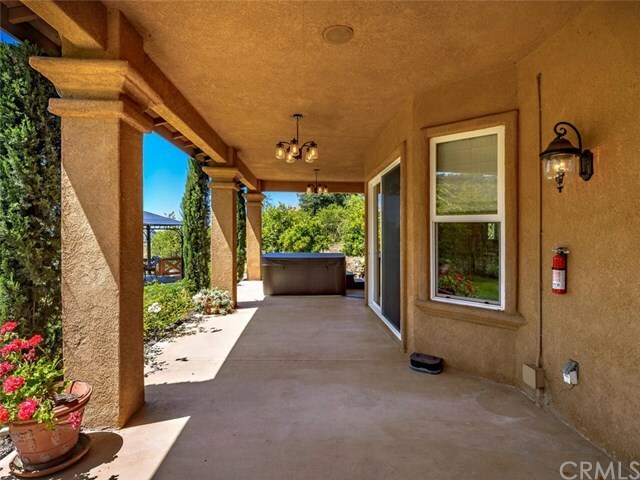 2 Bedrooms w/ 2 bath upstairs w/ library area or sitting room. 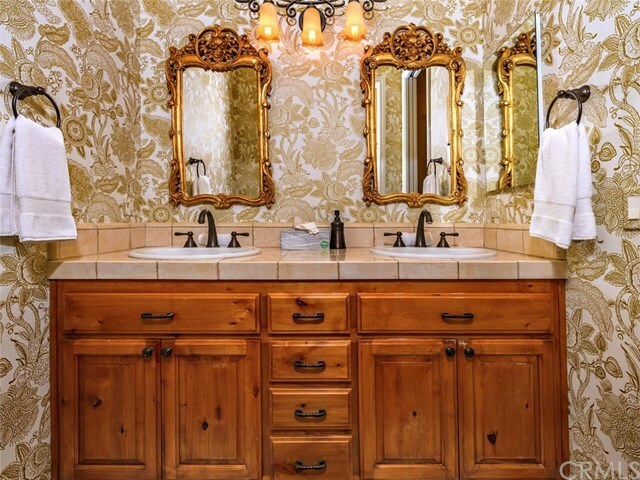 Custom touches thru out w/ wonderful Italian arches. 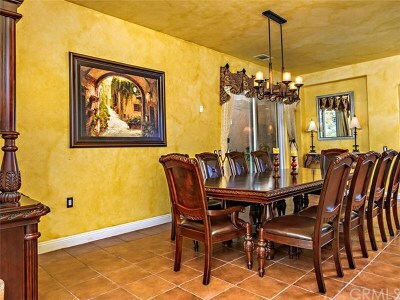 Formal dining area & game room downstairs, very light & bright thru out. Meandering trails through out the property with charming courtyards decked with flowers & water fountain & beautiful vineyards, you'll feel like your in Italy. 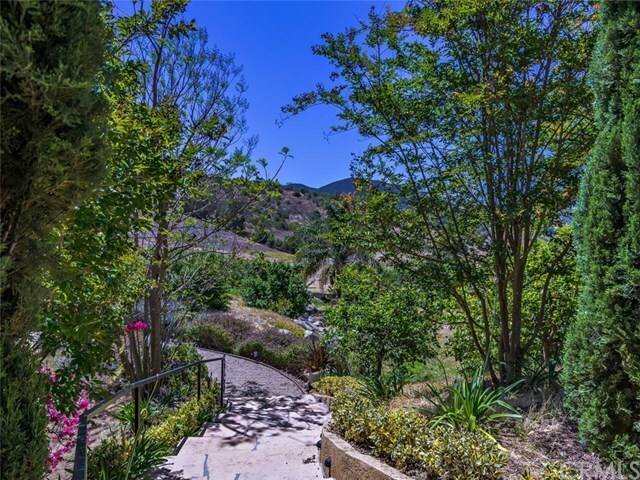 Very peaceful & quiet yet 12 minutes back to town. 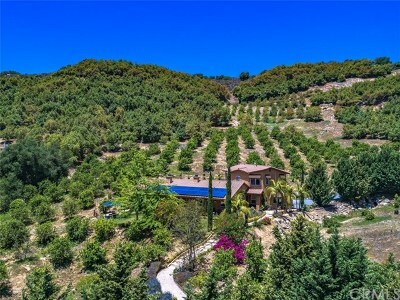 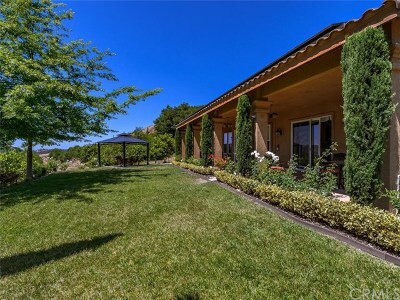 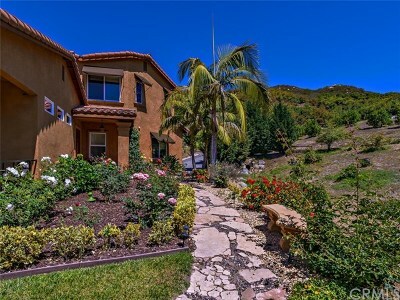 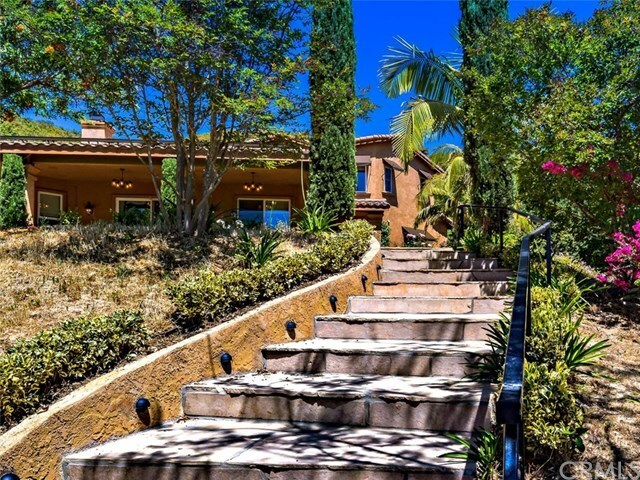 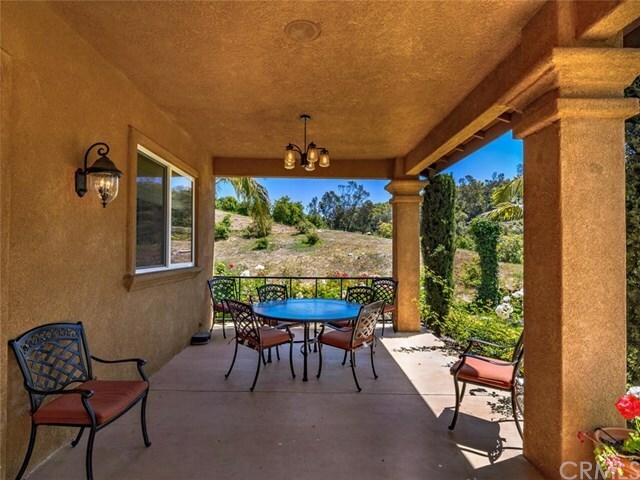 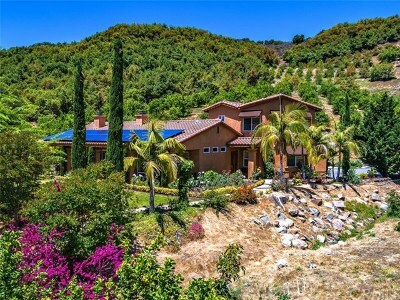 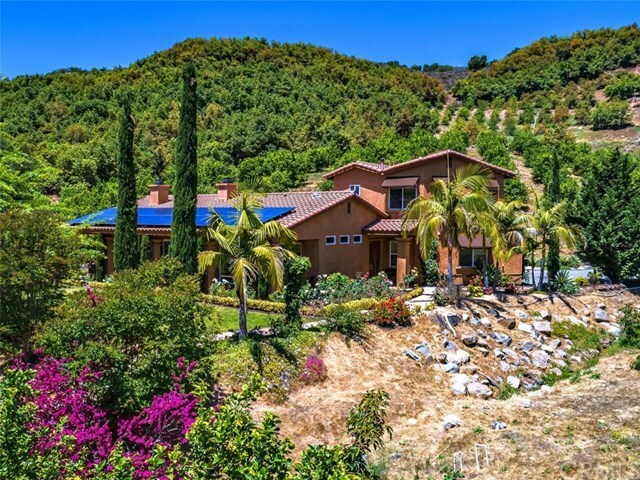 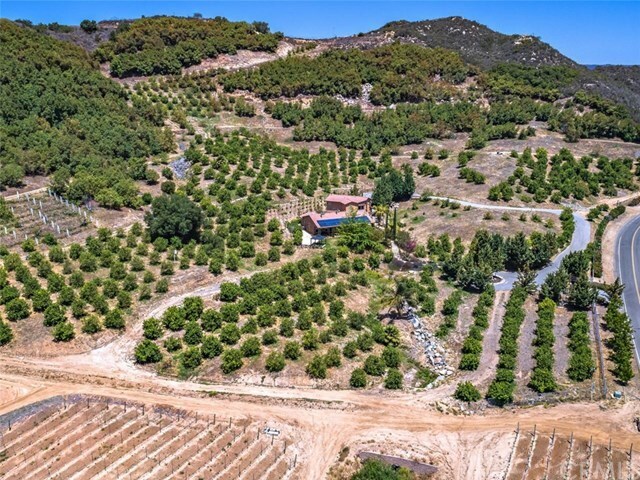 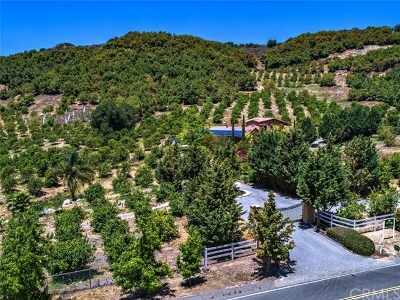 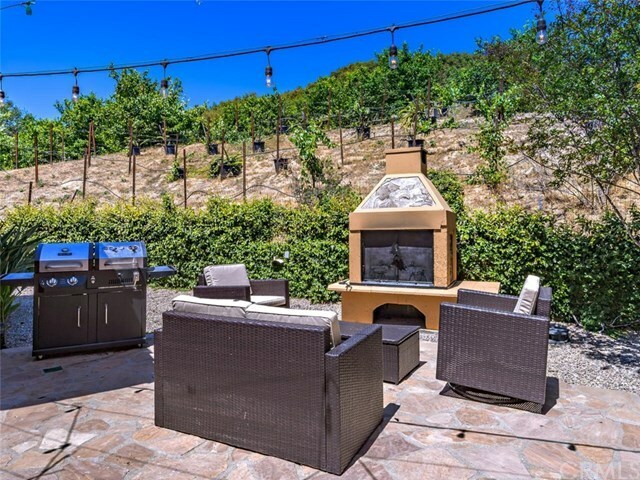 Lushly landscaped oasis, where one can enjoy the peacefulness & beauty found at this prime Temecula location.Close to all wineries & shopping. 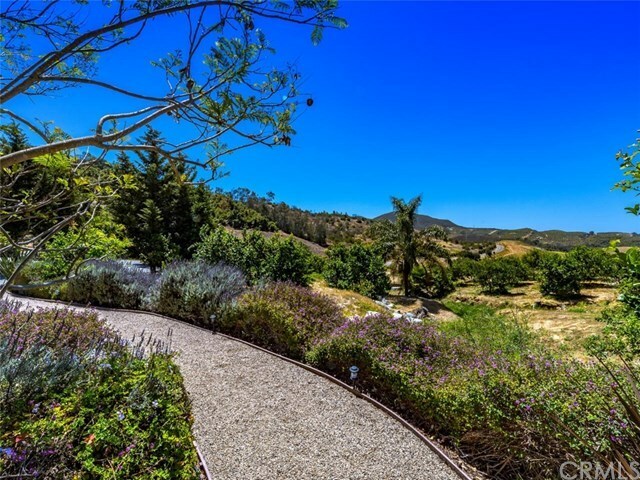 Enjoy the incredible views while relaxing by the gardens or simply experience California outdoor living at its best.